For someone who just came back from the future, Mark Holdridge looked pretty relaxed. 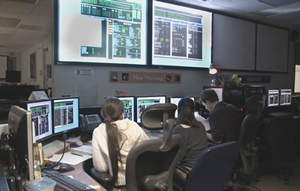 The New Horizons mission manager sat outside mission control at the Johns Hopkins Applied Physics Laboratory last July 14, watching the closing moments of a weeklong test of both team and spacecraft that replicated the closest nine days of flight toward and past Pluto – almost exactly as it will happen in July 2015. For nine days in July 2013, it was July 2015. 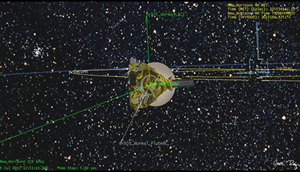 Operators programmed New Horizons’ onboard computers to “think” the spacecraft was approaching and passing Pluto, to the point it executed each command and movement of the actual encounter. Gathered at APL’s campus in Laurel, Md., mission navigation and operations teams guided spacecraft activity in real time; the science team examined simulated data in the same way they’ll download, analyze and distribute the real stuff when Pluto and its moons slowly reveal their secrets to New Horizons’ seven science instruments.